What are you really good at? Whether it’s designing logos, leading a team, pitching VCs, or even decorating cakes, there’s someone out there who wants to learn what you can teach them. And thanks to the rise of online course platforms like Skillshare, Udemy, and Lynda.com, anyone with expertise can teach online and share their knowledge with the masses. Not only has teaching become relatively easy, but it’s also become fairly lucrative for top instructors. Before you dip your toes into the online teaching waters, you have to decide which site to use. Each has its own pros and cons— while some provide a great user experience but fewer earnings, others are less intuitive yet offer greater potential revenue. Billed as the Netflix of online learning, Skillshare boasts 1.7 million students, nearly 6,000 classes, and $5 million in teacher revenue. “I chose to work with Skillshare because the community managers were extremely knowledgeable and helpful,” explains Jenn Coyle, a designer, illustrator, and blogger. 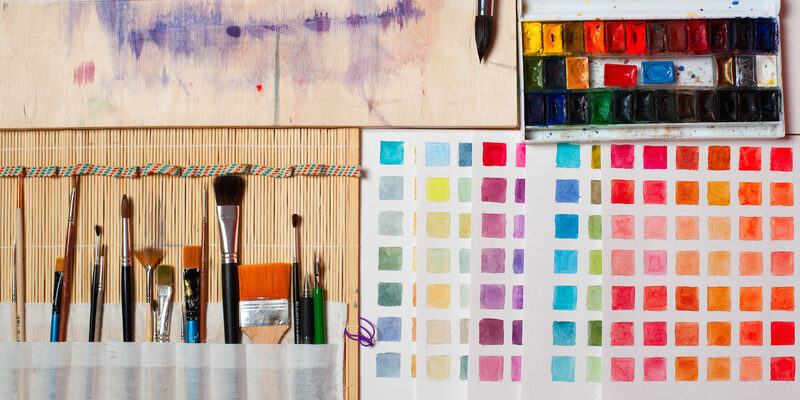 In general, the most popular classes focus on design, personal branding, and marketing. Skillshare courses follow the industry’s traditional self-paced video format. The only requirement? You must upload at least 10 minutes of video content. That’s actually the perfect length for a quick, light, “here’s how to do X” class; for example, one of the most popular Skillshare offerings is “Knife Skills: A Mini Class to Chop Like a Chef.” So if you’re interested in teaching a wide variety of cool tips and tricks, this platform is a good option. Unlike other platforms, Skillshare requires you to include a capstone project that lets students apply everything they’ve learned. Keep this in mind when you’re choosing which site to use as your teaching platform. If there’s no concrete deliverable (for instance, maybe you’re teaching people how to negotiate), adding a project might not make sense. Skillshare’s community feature is helpful if you’re interested in engaging with students and/or building a following. Once a Skillshare user has enrolled in your course, they’ll get access to a forum for talking, sharing advice, and asking questions. Not every teacher is happy with the payment model. You don’t earn any money until at least 25 people have signed up for one of your courses. After that, you’ll earn $10 for every person who signs up for a Premium Skillshare membership via your referral link. You’ll also get a portion of the “royalty pool.” Here are the nitty-gritty details, but usually it breaks down to $1 to $2 for every Premium member who enrolls in your class. So, let’s say in December you brought in three referrals and had 20 Premium students. You’d make approximately $45. Not too bad (especially since it’s passive income), but you’re never quitting your day job. With 11 million students and 20,000 instructors, Udemy is almost six times as big as Skillshare. Like Skillshare, creating a course is free. When it comes to class topics, however, it offers much more variation. Want to teach online about something offbeat like ethical hacking, speed reading, or lie detecting? 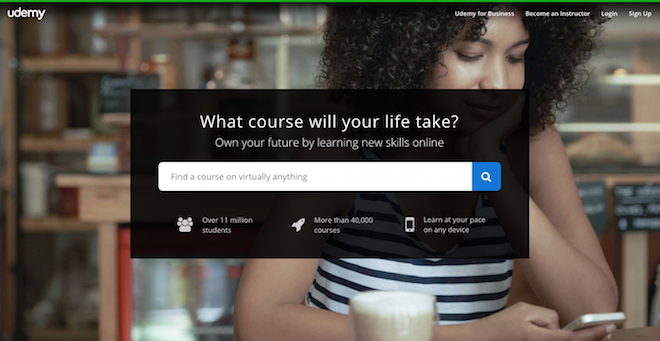 Udemy’s the platform for you. Of course, you can also teach more traditional topics, such as an introductory course to Photoshop or a guide to using Instagram for business. You may also want to consider Udemy if you’re not super jazzed about shooting videos. Although the site does require 30 minutes of video content, at minimum, only 60% of the entire course must be video. That leaves 40% for slides, screen recordings, screenshots, and other visuals. However, “it’s clear that Udemy prefers video lessons, and it feels like they make it harder than necessary to create a lovely, useful text lesson,” says Kathryn Aragon, who teaches a content marketing course. Nonetheless, Aragon says she “loves the look and feel of the published courses” and calls Udemy a “great experience” for students and “relatively intuitive” for instructors. The platform’s revenue system is refreshingly simple. If someone comes to your course through Udemy’s marketing efforts, you get $50 of their course fee. But when you bring them in, you get the full 100%. Udemy instructors make $8,000 on average. If you’d love to get a $500 gift card to Jo-Ann Fabrics or Michael’s for your birthday, Craftsy is probably the teaching platform for you. As you can probably guess from the name, this site is devoted to arts and crafts courses. Because it’s more niche than the other options on this list, Craftsy also has a smaller audience. Around 2.5 million people take one or more of its 1,000 classes each month. The community takes pride in hiring only the most experienced makers—which means you must pass an application process to be an instructor. And unlike some of the other course platforms, you apply by submitting a proposal for a course. If the Craftsy team feels your idea is a good fit (and finds your qualifications up to par), they directly help you film the class. Your job isn’t done after your course has been uploaded: students can request help or feedback at any time. Although these interactions can be highly rewarding, it’s also worth noting that the more popular your course becomes and the longer it’s available, the more work you’ll need to do. According to a 2013 Wall Street Journal article, Craftsy instructors receive 10 to 15% of their course’s revenue. (However, it’s possible this model has since changed.) CEO John Levisay reports that instructors have made more than $1,000,000 in total. Lynda.com has been around since 1995, making it one of the (if not the) longest-running teaching platforms around. And its longevity isn’t the only reason you should consider Lynda.com: last year, it became part of the LinkedIn empire. Although the professional network hasn’t made any major changes yet, experts predict LinkedIn may drive users toward Lynda.com courses—which’ll be a major boon for Lynda.com teachers (a.k.a. “trainers” or “authors”). To become a trainer, you’ll need to pass a rigorous screening process. Having expertise in your field usually isn’t enough; Lynda.com wants charismatic people who can hold their own on a screen. If you’ve got teaching experience — or even better, prior video training experience — your chances skyrocket. 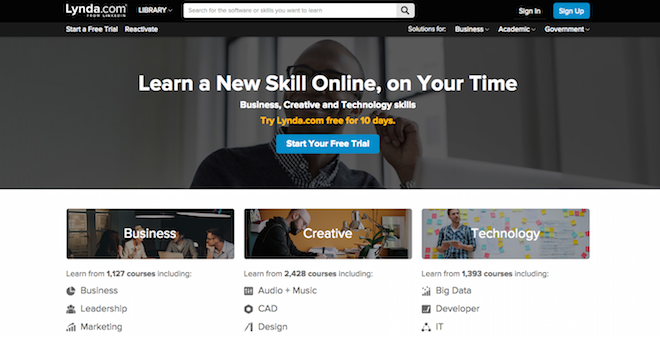 Lynda.com currently offers 4,790 courses. Those courses are concentrated in the business, creative, and tech categories. Most of them hit the 10 to 12-hour mark, but don’t worry, your face isn’t in center spotlight that entire time. The vast majority of classes consist of slides with narration. Once your application is accepted, Lynda.com brings you to its studios to record. And what about the moola? The platform uses the same model as the book publishing industry, meaning that authors get an advance plus a cut of the revenue based on how popular their videos are. Some have reportedly made $30,000 in six months. John Sonmez, a software developer, started teaching Java and Android courses on PluralSight as a side project. Now, he makes six figures a year in royalties—and his total profits are in the $1.3 million range. PluralSight houses more than 4,500 courses by 800 or so instructors. Although Sonmez and Allen are both programmers, many hail from business, design, and creative fields. There’s even an entire category dedicated to architecture and construction. PluralSight and Lynda.com share a similar model. Both require authors to apply, and both compensate authors with one-time payouts and royalties. However, that’s where the similarities end. Instead of filling out a form, PluralSight applicants film a short audition tape. This process benefits the site and the potential author: the staff learns whether you’ll be a good fit, and (since you work with an editor to produce the tape) you learn whether you’ll like authoring. PluralSight also provides a bevy of editors to help with the actual course production. Content editors weigh in on your topic and outline, production editors guide you through the video production and editing process. To make sure your advice is faultless, industry experts review your work. Sonmez isn’t the only one bringing in big profits from teaching on PluralSight — his fellow PluralSight instructor Scott Allen made a staggering $1.5 million in 2015 alone. (Allen is the platform’s top-earning teacher.) Authors get an immediate payout when they finish the course, plus lifelong royalties. The average author earns around $40,000 – 50,000 in annual royalties. Are you obsessed with getting every last detail right? You’ll love Teachable. This platform is like Squarespace for online instructors: instead of uploading your course to a central library every user can browse, you create your own custom-branded course site. Along with your lessons, you can use this site to blog, offer quizzes, host discussion forums, ask for student feedback, create segmented audience lists, and even integrate with a customer support tool like Olark or Intercom. You’ve also got a unique amount of freedom when it comes to the vehicle for your lessons. Teachable doesn’t set any video quotas—so technically, if you wanted to teach an course entirely through images, text, and audio, you could. There are plenty more great features, including in-depth analytics, custom landing pages, support for 130+ currencies, and the ability to create advanced sales and promotion options. Nabors is unsatisfied with the templates Teachable provides for instructors’ sales pages. Because of the way that Teachable is set up, creating a course might cost you. If you’re only interested in the basics, Teachable offers a free account. However, to truly leverage the site, you’ll probably want to spring for a Professional membership, which costs $99 a month. That said, you get to keep 100% of the money you make. So far, Teachable has hosted around 3,600 courses for one million students. Impressively, the total course sales tops $8.6 million. Although every platform has different expectations for its instructors, there is one common denominator: passion. If you’re enthusiastic about your topic, you’re probably a good candidate for teaching. Of course, there are practical requirements as well. Most of the options on this list will prioritize experience — so if you’re among the hopefuls who are fairly new to their fields, consider waiting a year or two before applying. Also keep in mind that talk is cheap — but mapping out a real course takes time and effort. These platforms put a strong emphasis on planning out your course in advance and knowing exactly how you’ll communicate key concepts, skills, and best practices. Your shot of being accepted will go way up if you invest some time and energy into mapping out your class. Then it’s all about showcasing your teaching chops — and, of course, sharing your knowledge with students across the world. Do you teach a course online? Share a link to it in the comments, along with your best tip for prospective instructors!